Flat slab based construction is a developing technology in India. A reinforced concrete slab supported directly by concrete columns without the use of beams, such slab is called flat slab. When drop panel have thickened portion of slab around column, that provides negative reinforcement in the slab column connections and it increase shear strength of slab. Column heads are flared profile around column and it also provide to increase the perimeter of critical section for shear. wall for lateral load resistance, the column in building can be designed for only 25% of the design seismic force. 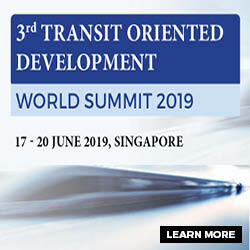 Thus the behavior of a structure for dynamic loads can be determined by model analysis and dynamic behavior can be examined by considering the parameters as Storey drift, base shear, time period and acceleration of model. Here, we are mainly depending on design of flat slab RCC structure in four different types. It may be mainly two parts, they are 1) with drops , 2) without drop and these two models are modeled with shear walls at corners. 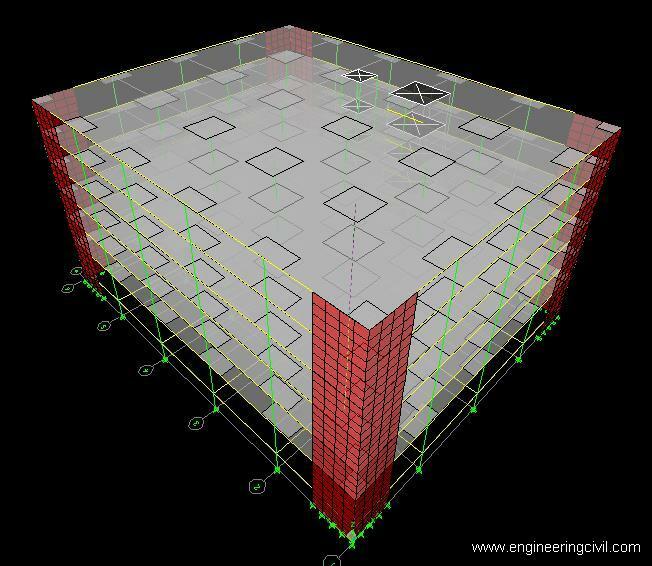 When a flat slab structure referenced by clear from previous literature are unstable for seismic forces, analytically investigating the behavior of flat slab during the earthquakes and checked for increase of punching shear from gravity loads to earthquake loads by taking one center column and one exterior column in intermediate frame in model 1 and also checked for tendency of punching shear failure in flat slabs . 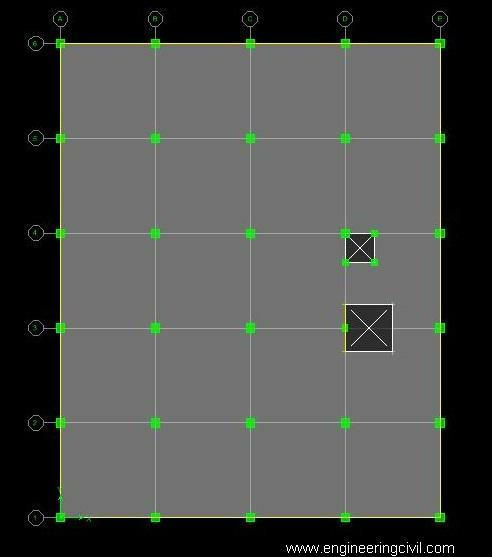 The design has to be Response spectrum method is considered to analyze the structure by using ETABS software. Here, FOUR models were created and all are analyzed for seismic loads. 4. Flat slab structure with column drops and shear wall together. For Seismic loading only 50% of the imposed load is considered. Response-spectrum analysis is useful for decision making to select structural type, before designing a structure. It gives the dynamic performance of a structure. Structures of shorter period experience greater acceleration, whereas those of longer period experience greater displacement. The number of modes to be considered in analysis should be such that the sum of total of model mass of all the modes considered is not less than 90% of total seismic mass of structure. By considering 12 modes mass participation of flat slab building is achieved up to 94%.Therefore 12modes are considered for all models. Center of mass & centre of rigidity coincides, due to regularity in the plan, mass and stiffness of the building. so providing shear walls at all corners symmetrically may not affect center of mass and center of rigidity. 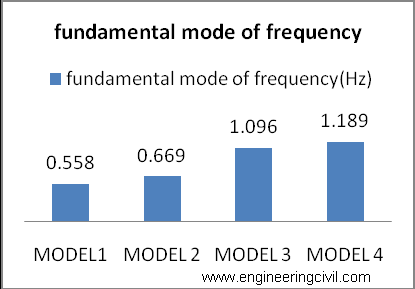 Table1: comparison of frequencies of mode shapes in all 4 models. Graph1: graph for fundamental mode of frequencies. 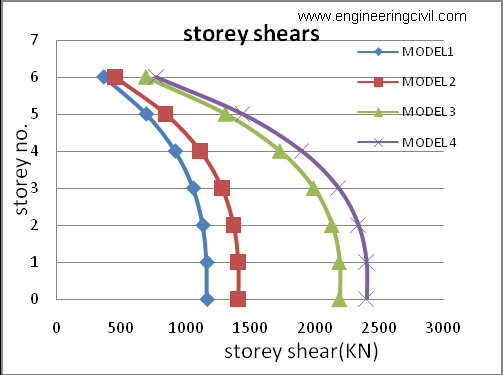 Table 3: comparison of design storey shear. 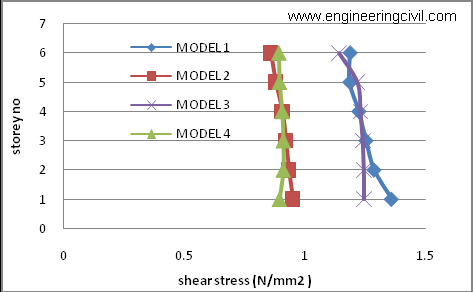 Graph 3: graph shown for storey shear in all 4 models. Graph4: graph shown for comparison of storey displacements in x-direction. 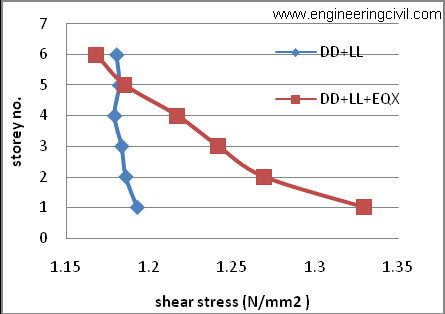 Table 5: Comparison of shear stresses, corresponding to Mx moments in column C13 (center column). TABLE6: Comparison of shear stresses corresponding to Mx moments in column C11 (exterior column). 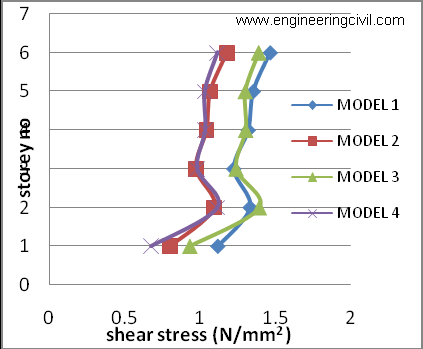 Graph7: Comparison of punching shear stresses in column C13 corresponding to 4 models. • Fundamental mode of frequencies of a flat slab structure increase 20% when drops panels are present, as further increasing of stiffness by providing shear walls those values increases to 96%. • Flat slab attracts more shear value, when flat slab provided with shear wall rather than flat slab having column drops. 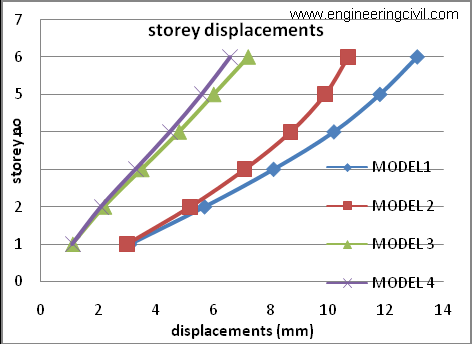 • Providing column drops to flat slab, storey displacements reduces slightly, as stiffness increases slightly. But when flat slabs combine with shear walls, these displacements reduces tremendously as stiffness of shear walls increases overall lateral stiffness of structure. • For inner columns, punching shear stresses are increasing linearly from top stories to bottom stories. As earthquake moments are increasing from top stories to bottom stories. But the punching shear variation due to the gravity loads are not much changes from storey to storey. This shows that earthquake moments are more effective in producing punching shear at bottom stories. • Due to the effect of exterior panel moments and earthquake moments, punching shear stresses varying slightly irregular in exterior columns. In exterior columns punching shear stress is more in columns at top stories than the columns in the bottom stories. • Punching shear failure occurs, more in flat plate. 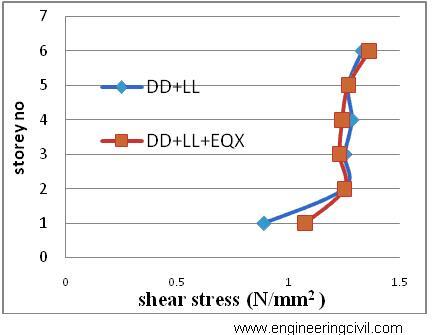 On provision of column drops it’s punching shear stress decreases unto 25%. 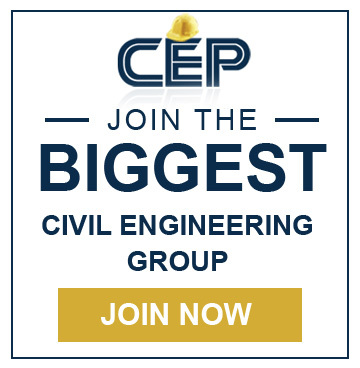 • Provision of shear walls may not effective in reducing punching shear on intermediate storey’s but effective in top and bottom storey’s as shear wall attracts lateral moments from columns. 1. Structural Dynamics By Mario Paz & W. Leigh – FIFTH EDITION. 2. “Applications of RCC flat slab structures in seismic regions”. George E. Lelekakis, Ioannis A. Tegos Aristotle University of Thessaloniki, Department of Civil Engineering, Thessaloniki, Greece. 3. 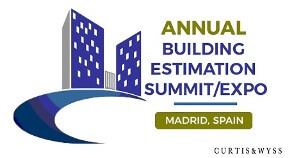 “ Solution of Shear Wall Location in Multi-Storey Building”, referenced by Dipendu Bhunia, Assistant Professor, Civil Engineering Group, BITS Pilani, Rajasthan, in India. 4. 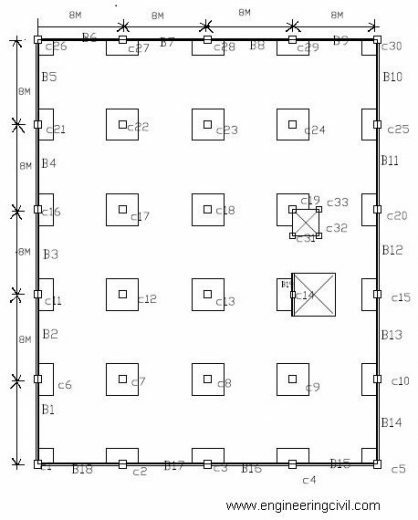 “Punching shear design of earthquake resistant slab column connections” by Sami Megally and Amin Ghali, ACI Structural Journal, Title No. 97 – S73. 5. “Seismic Behaviour of Buildings Having Flat Slabs with Drops” referenced by Dr. Uttamasha Gupta1, Shruti Ratnaparkhe, Padma Gome Professor, SGSITS, journal of IJERT, Vol 3, Issue 5, May 2014. 6. IS456 – Indian standard plain and reinforced concrete code of practice. 7. 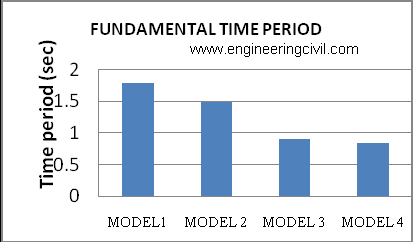 “Earthquake Resistant Design Of Structures” by Pankaj agarwal, manish shrikhande. 8. “Lateral Displacement Ductility of Reinforced Concrete Flat plates” by Austin Pan, ACI Structural journal, Title No. 86 – S27. 9. “Seismic Resistance of Nonductile slab – Column Connections in Existing Flat – Slab Buildings” by A. J. Durrani, ACI structural Journal, Title No. 92 – S46. 10. The design of structure ,authors thank Dr R.K.Ingle and Dr. O.R.Jaiswal of VNIT Nagpur and Dr. Bhupinder Singhof NIT Jalandhar for their review and assistancein the development of this example problem. 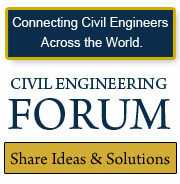 We at engineeringcivil.com are thankful to Er M.RAJAGOPAL REDDY for submitting this paper to us. We hope this will provide immense help to other civil engineers in understanding the Design of RCC Flat Slab Structure Under Earthquake Loading Using Etabs.